One of the things that makes Reddit so well-loved in its space on the social web is its unusually strong, trusting and closely-knit community- maybe a bit like the message boards that used to reign the web before social media came in made the experience a bit more pervasive but less personal. Earlier this week, I described some standout subreddits– which are, if you are not a Reddit user, the different topical subsites of the aggregator that allow users to customize their Reddit experience and receive the news and links most relevant to their interests. Reddit has a few notable subreddits that are a bit altruistic or otherwise community-driven in their focus- r/randomactsofpizza springs to mind, for instance, and there was even a small-yet-vocal movement to settle a mostly-abandoned town in Illinois on the site earlier this year to form an intentional community of sorts. 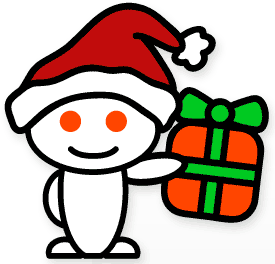 We have some super exciting news here: redditgifts has officially been acquired by reddit! We are so happy about this as it will allow us to really put our efforts toward making redditgifts exchanges and meetups better than ever. We will no longer cram 10 hours of work into 2 hours of spare time after the kids go to bed. We will have all day to do nothing but make redditgifts a wonderful experience for you. The basics of redditgifts will not change and our vision remains the same: Internet strangers giving to internet strangers for the fun of it. We are really so excited to be able to dedicate ourselves to something we love and believe in so much. We have been quiet around here for obvious reasons but we can’t wait to get back to work and get on with our plans. We will announce our next exchange as soon as possible. Be sure to check out r/secretsanta in upcoming weeks. Thanks to everyone who has participated in the exchanges and meetups. You are what makes this so much fun for us! You can read more about this here at reddit.